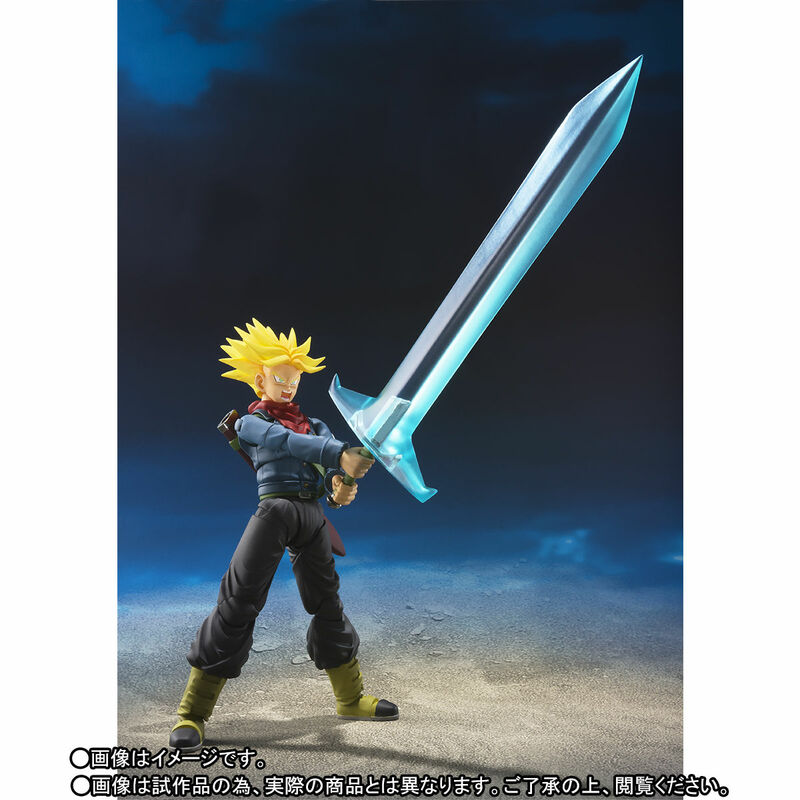 Tamashii Nations has posted the official product page for their upcoming S.H. 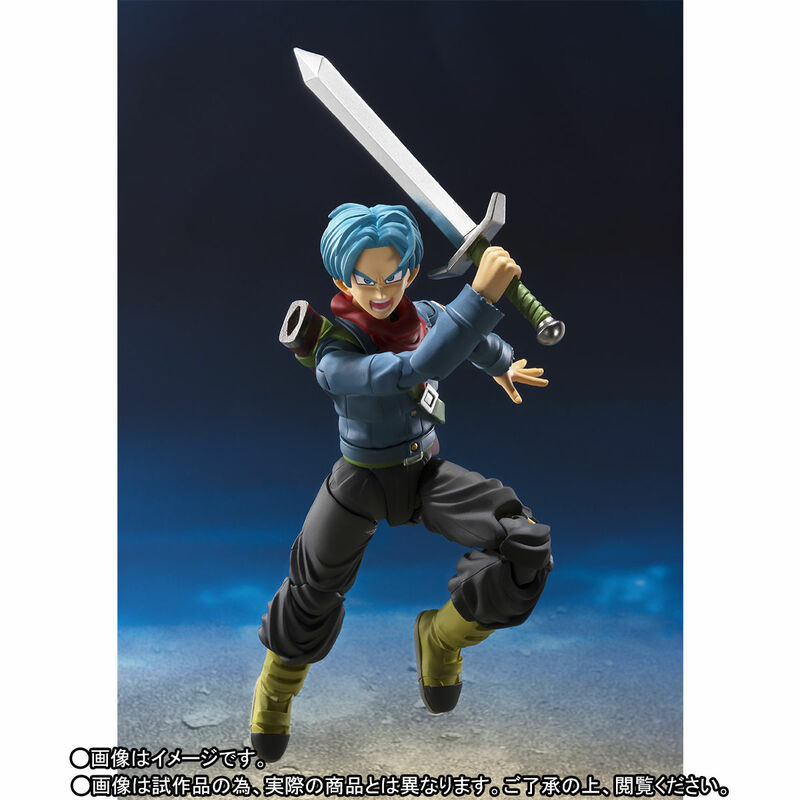 Figuarts Dragon Ball Super Future Trunks Figure. 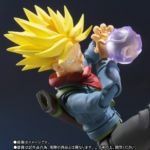 In Japan, the figure will be a Bandai Premium Web Exclusive, while the figure should see a release from Bluefin in the U.S. Included with Trunks are multiple interchangeable hands, swap out head parts, interchangeable face parts, a Galick Gun effects piece, a sword, a broken sword, a Sword of Hope, and a pedestal for the sword. The Trunks figure will stand at 5.5″ tall. 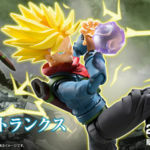 Pre-orders are set to open June 15th in Japan. Future Trunks is scheduled for release in November and is priced at 6,264 Yen (about $57 USD). Click the headline of the story for all of the new photos. Aww yeah! That's the reveal I was waiting on! Now please give him a ssj head and his powered up sword! Blue hair? I'm out. It's a production mistake they've apologized for (and plan to correct in future home releases.) I guess I could just do a head swap or use the Rage head if their is one. I think you are partially correct. 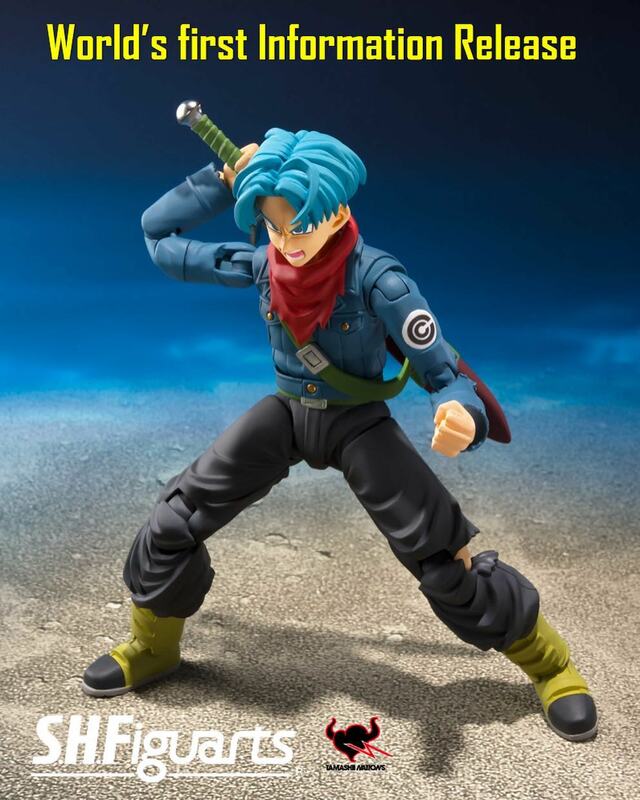 I think that the first future Trunks was supposed to have blue hair, but something in production changed his hair purple. Though I'm not a fan of the blue - wished it were purple. 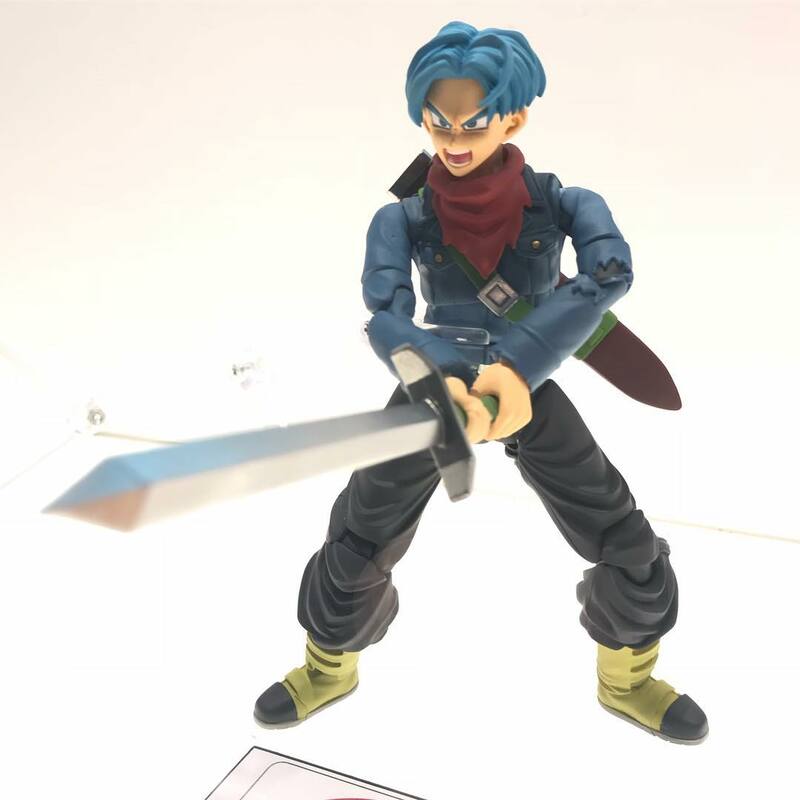 It wouldn't really bother me, except they seemed to forget that Trunks has purple hair as a kid, and the first future Trunks did as well. November 2018 in Japan, probably January in the US. I also have to admit that I'm more a Dragonball Z fan than a Dragonball Super. 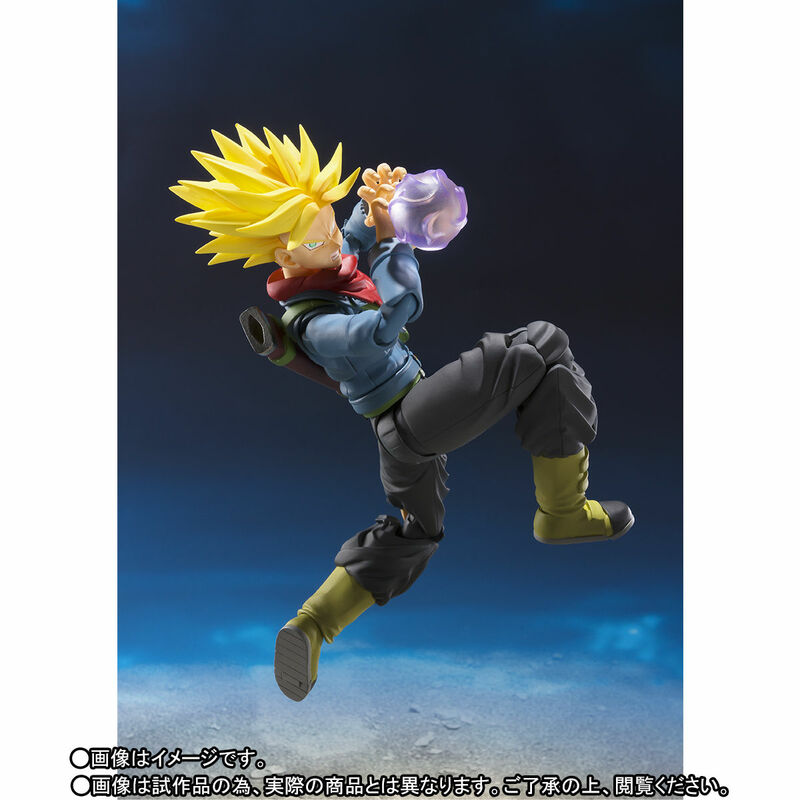 Man, why is it this figure could get a non-super ssj headsculpt but Gotenks couldn't? 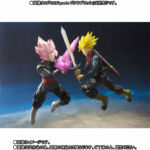 Tamashii Nations can be so frustrating sometimes. So when do y'all think this will start being available for pre-ordering on Amazon and other sites? 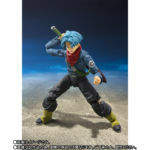 Fairly new to getting these but I want to order this first chance I get! Loving that SS head. 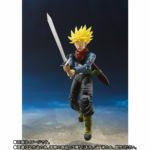 I wonder if it would fit on a Cell Saga Trunks body? I would display that in a heart beat. I love this SSJ head, someone knows if it could be put on other Trunks version they already release? 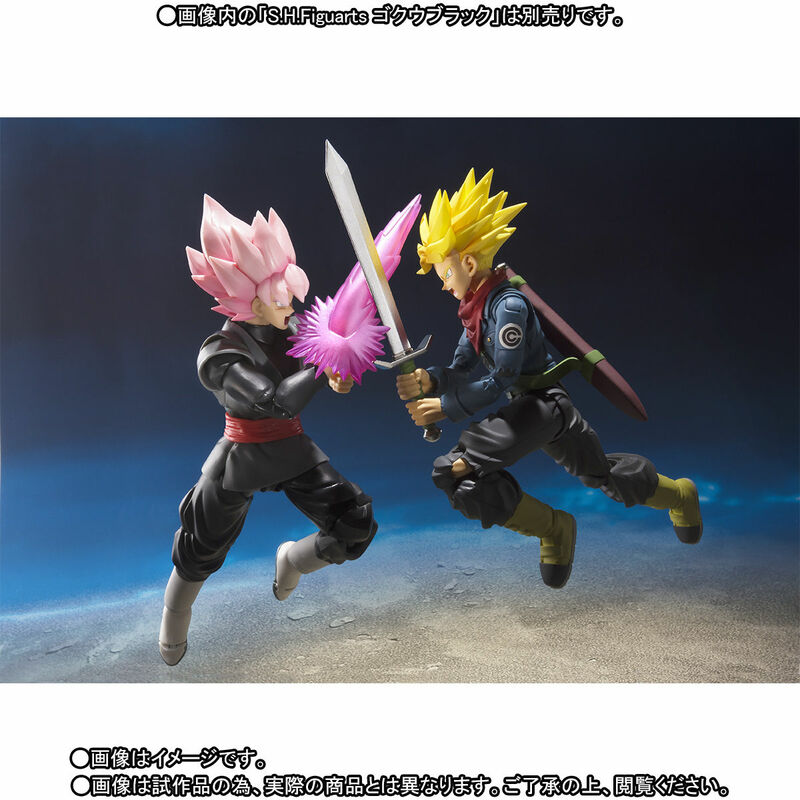 I hope these new heads are compatible with the Super Saiyan (armor) Trunks and the Xenoverse Trunks bodies. It's pretty great that it will come with so much, though I'm sure it means there won't be more than four faces. So is it 100% that it's getting a North American release? I don't know why it wouldn't. 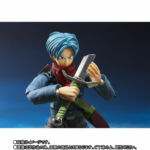 If/when Bluefin releases info, I'll post it on the front page. Awesome! Just wondering if I needed to preorder with a friend in Japan.